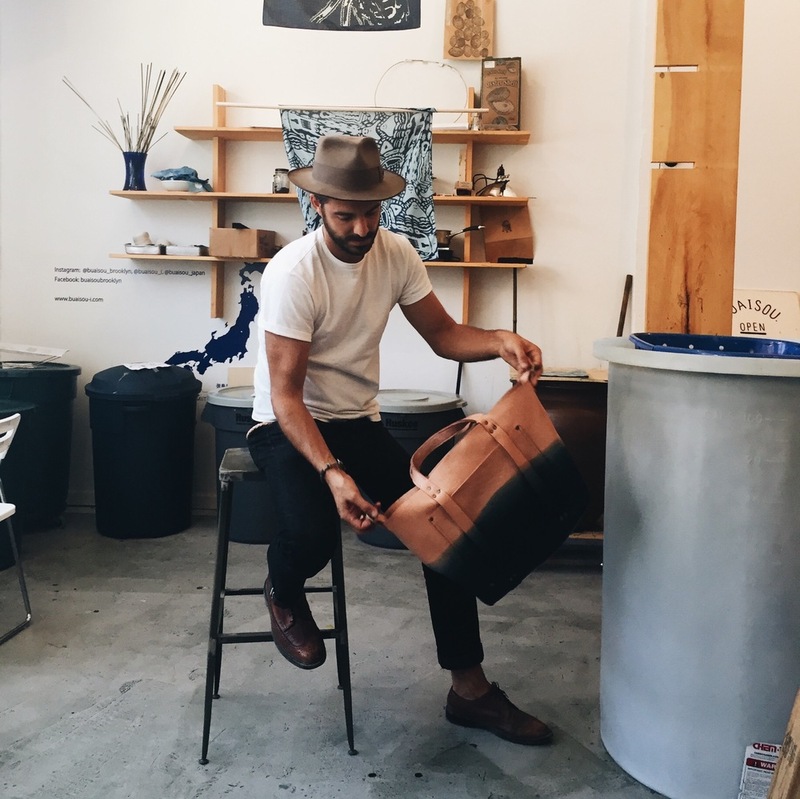 Recently, we visited BUAISOU Studios in Brooklyn to customize this one-of-a-kind Indigo dyed Poglia Porter. BUAISOU was founded in 2012 by two Japanese Indigo farmer/dyers who seek to preserve the tradition of Japanese indigo dyeing using a 100% natural process. They use a traditional technique of fermenting SUKUMO in ash lye, calcium hydroxide, and wheat bran, creating a so-called "hell vat.” The garments dyed in this 100% natural vat turn into deep and luminous "Japan Blue." 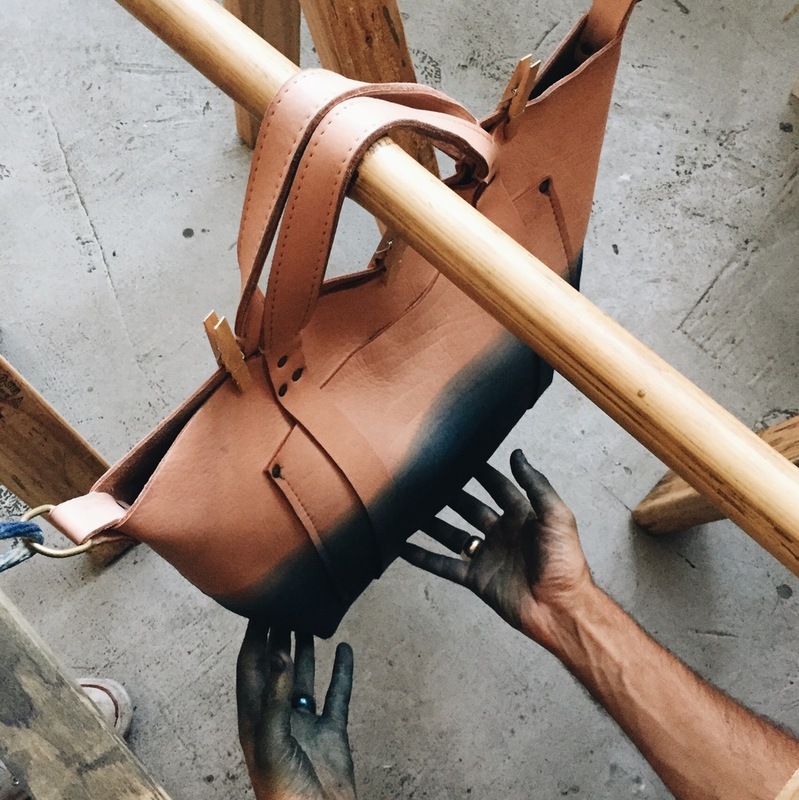 Our custom bag is being finalized and is currently drying at the studio in Brooklyn, NY. It will be treated with oil and will be ready for delivery in approximately one week.